After this post about the different types of carrots available at Borough Market, the question was asked “what do they taste like?”. I prepared the scene like a wine tasting, mulling and musing the purple and then white segments trying to pluck the different flavor notes. Sadly, the both just taste like carrot. Call me underwhelmed. 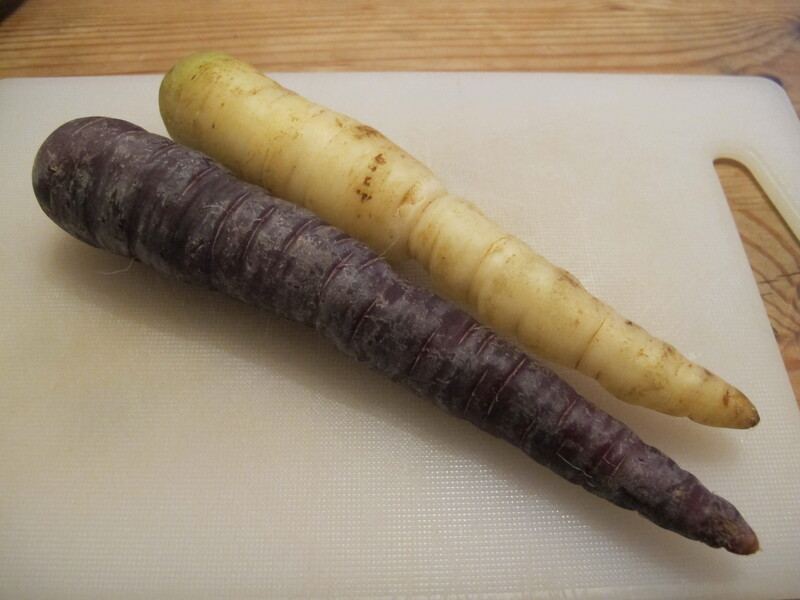 I would say that they are slightly less sweet than the supermarket orange carrots, but that may have more to do with the sweetness being bred into them for modern taste buds. 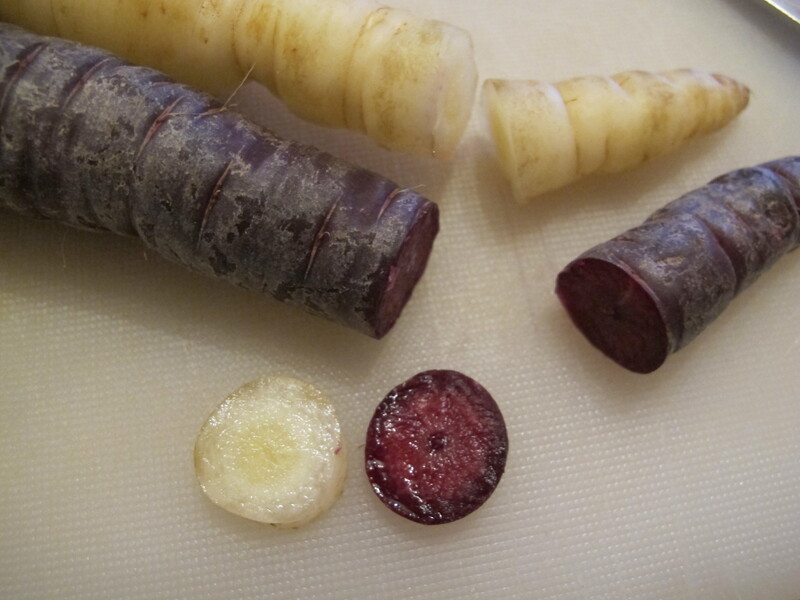 Side note: I would love to see a carrot cake made with the purple variety, a bright pink (all natural) carrot cake? Yes please. 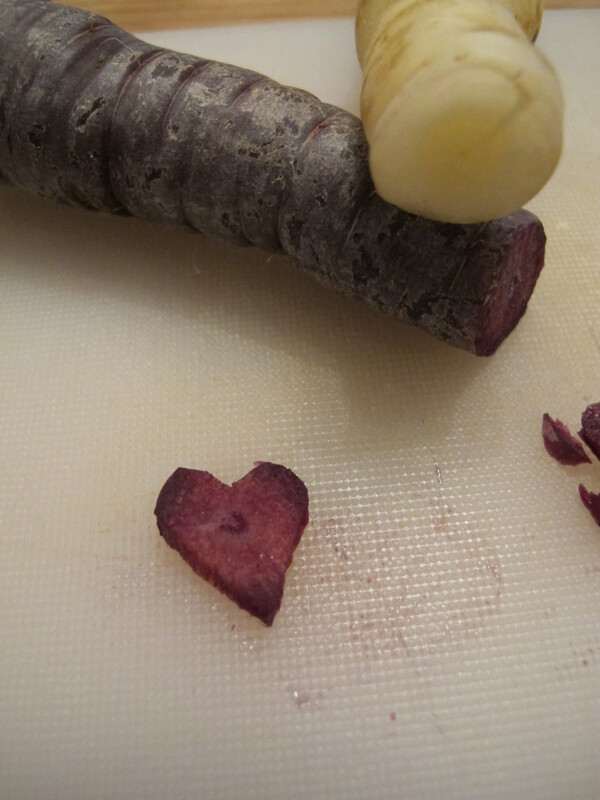 And since it is Valentines day, have a pink carroty heart from me.